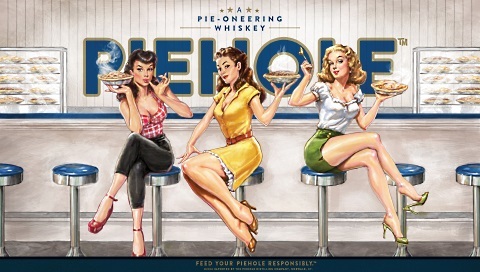 Piehole Whiskeys come in three flavors: Apple Pie, Cherry Pie, and Pecan Pie. They can be yours for about $15 per 750ml bottle. If your two complaints about Thanksgiving dessert are either “it’s too sweet” or “there’s not enough bourbon in this bourbon pecan pie,” you may want to welcome Diageo’s new Piehole Whiskey line into your life. Piehole Cherry Pie bursts with the essence of sweet baked cherries, and a buttery pie crust. 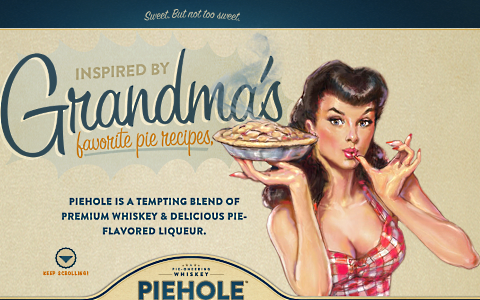 The Piehole line is made with Canadian whiskey that’s been aged between four and eight years. “Many people remember that feeling you get when you first taste grandma’s pies fresh from the oven. We’re mildly surprised to note that there’s no pumpkin pie flavor involved. Maybe Diageo feels like the pumpkin-spice-everything bandwagon has passed? In any case, the only true shock here is that someone didn’t market this idea sooner. There’s a reason so many pie recipes call for whiskeys and bourbons, even in small amounts: when combined, those flavors just work.